I wish my life was as easy as being a tree or a bird…they don’t have to think about their shape, their size, what to eat, when to eat, how they eat - they are just what they are. Problem eating is not really about food - it is about dealing with our emotions. Want to join a women’s group to help you look at this issue in a safe, confidential and accepting place? 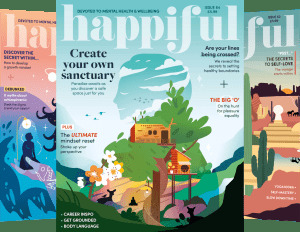 Want to explore this issue without feeling alone or like you're going mad? My name is Jane Davidson and I am an experienced BACP (accred) therapist based in the south side of Glasgow, Newton Mearns. If you think you would like to join a group, or discuss this further, you can call me on 07563 737358.